The Pakistani government recently released Mullah Abdul Ghani Baradar Akhund. Mullah who? Behind this seemingly innocuous name hides one of the key leaders in the history of the Afghan Taliban. At the time of his arrest in 2010 he was second only to Mullah Omar. Last Wednesday, Taliban spokesman Zabihullah Mujahid officially confirmed that “Mullah Baradar is now a free man and has joined his family.” Most details are still unclear. Anonymous Pakistani intelligence officials told the Associated Press that Baradar had been freed “after high-level negotiations.” But who was involved in these negotiations? According to some sources, Baradar was released after the intervention of Zalmay Khalilzad, the U.S. government’s special representative for Afghanistan reconciliation, who met with Taliban representatives in Doha in July and visited Kabul twice in October to discuss peace talks with Afghan leaders. Other sources claim that Baradar was freed on the intervention of the government of Qatar, where the Taliban maintains a political office. The Qatari foreign minister had visited Islamabad and met with the Pakistani leadership only a few days before Baradar’s release. The Afghan government, which had tried to negotiate the Taliban leader’s release several times over the last eight years, might have been involved as well. To understand why Baradar’s release could indicate significant shifts in the positions of several powers engaged in the 17-year conflict in Afghanistan, and why the freedom of this militant leader, of all people, has the potential to facilitate the peace process, we need to look back at his career within Taliban ranks as well as the dubious motives behind his spectacular arrest. Baradar, probably born in 1968, is a Zirak Durrani Pashtun and belongs to the Popalzai tribe. He fought with the Mujahideen against the Soviets in the 1980s. After the occupation, he is said to have led an Islamic school in Maiwand together with with the later Taliban leader Mullah Omar. In 1994 he was among the founders of the Taliban. Varying information has circulated about his function during the years of of the Taliban government. He is said to have served as governor of the provinces of Herat and Nimroz, been deputy chief of staff, and held the position of deputy defense minister. After the United States and its allies invaded Afghanistan to topple the Taliban in October 2001, he was briefly imprisoned by coalition troops, but set free following intervention by Pakistan’s powerful intelligence service, the Inter-Services Intelligence (ISI). From exile in Pakistan, he was involved in the development of the resistance against U.S. and NATO forces. Baradar increasingly became the “de facto leader” of the Taliban, even though his name and prominence were probably familiar to only a few. Since 2007, he seems to have been the strong man in the highest military body of the Taliban, the Rahbari Shura. While Mullah Omar appeared noticeably less frequently, operational decisions seem to have been made more and more by Baradar. At the same time, Baradar also seems to have maintained contact with the government in Kabul. According to a 2009 Newsweek article by Ron Moreau, who communicated with Baradar by e-mail, the Taliban leader actively supported entering into discussions with the central government of President Hamid Karzai on at least two occasions, in 2004 and early 2009. Baradar therefore had a very influential position: First, as a leading member of the Rahbari Shura, he had a crucial role in shaping the military strategy of the Taliban in Afghanistan. Second, he also had ties to Pakistan’s ISI. 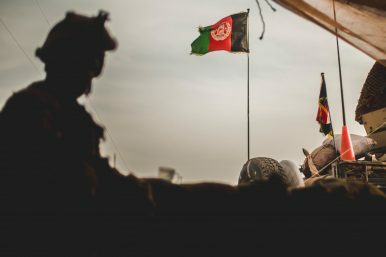 And third, Baradar had never broken off his connection to the Afghan government and had been signaling his readiness for dialogue. On the morning of February 8, 2010, Pakistani security forces stormed a madrassa in Karachi and arrested Baradar. The ISI had allegedly become active following a tip-off, but had been unable to locate the leader of the Taliban themselves. Therefore, the Pakistani intelligence service requested the assistance of American experts. When Baradar switched on his mobile phone, the trap snapped shut. The technicians of the CIA located his position and guided the Pakistani security forces there. But rather than cooperation in the “war on terror,” the spectacular arrest of Mullah Baradar was part of ISI’s duplicity. Behind the façade of a faithful ally in the “war on terrorism,” Pakistani state actors had been playing a bold double game for years. The ISI had not only been harboring Taliban leaders in Balochistan since the their flight from Afghanistan in the winter of 2001-2002, but had also been giving the Taliban complete, comprehensive, and systematic support. The military intelligence service supplied the Afghan militants with money, weapons, ammunition, and intelligence, provided for their military training, organized the recruitment of new Islamist militants in Pakistani madrassas, and helped plan military offensives. With the arrest of Baradar, Pakistan once again played its double game: On the one hand, it appeased the United States by giving its formal ally the impression that it was now seriously cracking down on extremists on its territory. On the other hand, it removed the most influential person who sought a dialogue and a solution through negotiations with the Afghan government. Baradar and other high-ranking Taliban detained at that time, like Mullah Abdul Rauf Aliza and Mullah Ahmed Jan Akhundzada, belonged to more moderate forces within the Taliban, who were ready to engage in peace negotiations. Their secret negotiations with the Karzai government fueled Pakistani fears of a negotiated peace without its strategic interests being adequately considered. A member of the Pakistani security forces explained at the time: “We picked up Baradar and the others because they were trying to make a deal without us. […] We are not going to allow them to make a deal with Karzai and the Indians.” The arrests of February 2010 were a violent sign that negotiations with the Afghan government without Pakistani permission would not be tolerated. The ISI strengthened its control over the Taliban and influenced the group’s strategy against peace talks, in order to keep the militants in place as a proxy force in Afghanistan. A Favorable Omen for Peace Talks? It will be exceedingly difficult for Baradar to live up to such expectations. So far, we don’t even have a personal statement about his future plans. More important, perhaps, than Baradar’s future role is that his release could be seen as the clearest indicator so far for a shift of long-held attitudes among those stakeholders in the armed conflict who are said to have played a role in freeing Baradar. Is the Afghan government of Ashraf Ghani, confronted by a poor security situation, lack of territorial control, wide-spread corruption, and a continuing inability to provide services to its population, now more willing than ever to find a political compromise with the Taliban and Pakistan? Is the national security establishment of the United States finally coming to terms with the idea that the impossibility of a military victory makes serious talks with the insurgents inevitable? Is Qatar, eager to gain more regional influence, willing to play a more active role as an intermediary and to throw its diplomatic might behind the peace process? And Pakistan? According to the latest Country Reports on Terrorism, released by the U.S. State Department in September, as well as recent statements of Afghan leaders, Pakistani state actors have not yet discontinued their long-running support for the Afghan Taliban. Perhaps the release of Baradar can be seen as a sign, however, that new Prime Minister Imran Khan is willing and able to rein in the military and the ISI and provide the support for peace talks all too often vowed in the past. In a statement last Tuesday, Khan, who confronts a major debt crisis and U.S. aid cuts, appeared at least upbeat about the U.S.-Taliban peace talks, expressing his hope that they would lead to peace and stability in Afghanistan. Adrian Hänni is a university lecturer and book author, specializing in the history of intelligence services, transnational political violence, and propaganda. His latest monograph, “Terrorismus als Konstrukt,” was published in 2018. More talking, more violence -- where is the war in Afghanistan going?